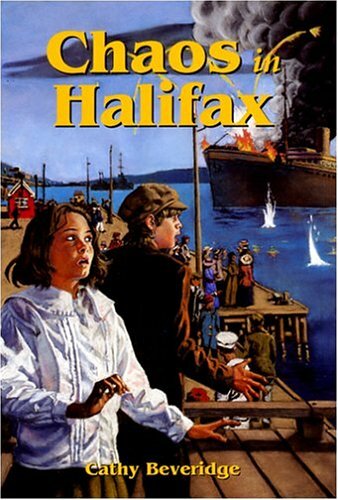 Twelve-year-old Jolene is determined to find independence from her brother, Michael, during a family trip to research the Halifax explosion of 1917 for her father's Museum of Disasters. When her grandfather finds a time crease into the past, Jolene discovers a new friend and the importance of family and loyalty in a world torn apart by World War I. Once Michael joins them, however, the past suddenly becomes much more complicated. He inadvertently threatens Jolene's friendship with a grieving family, and his careless comments spark speculation that they are spies. Together, the twins try to reconcile the honour and horrors of the Great War as they struggle with the knowledge that Halifax will soon be devastated by the collision in the harbour between the Mont Blanc, laden with explosives, and the Imo. When Michael attempts to change history, the twins are led to the brink of destruction. A compelling sequel to Shadows of Disaster.